George and Izzie look a little tipsy in a photo from "Brave New World" from Season Five of Grey's Anatomy. Good to see them hanging out again! Lounging on the couch is necessary sometimes, as Meredith and Cristina show us in this photo from "Brave New World" from Season Five of Grey's Anatomy. Izzie Stevens looks adorable in pink in a photo from "Brave New World" from Season Five of Grey's Anatomy. Katherine Heigl is gorgeous - and not shabby as an actress by any means! 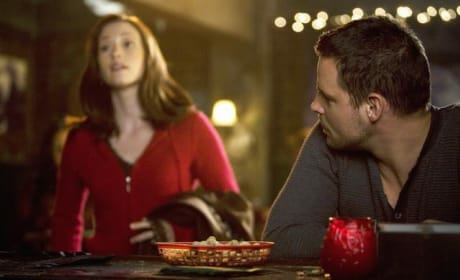 Lexie and Alex in a photo from "Brave New World" from Season Five of Grey's Anatomy. Will Karev and the younger Grey hook up again after a brief fling last season? Lexie Grey (Chyler Leigh) looks a lot prettier outside the hospital, as evidenced in this picture from "Brave New World" from Season Five of Grey's Anatomy. McDreamy makes an appearance at the bar in this photo from "Brave New World" from Season Five of Grey's Anatomy. It's about time he showed! 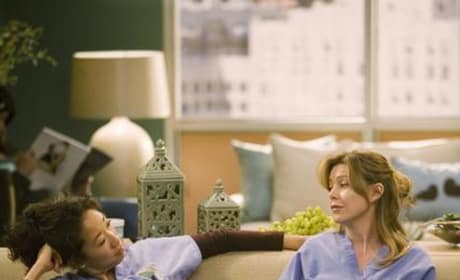 Cristina scowls as Mer smiles in a photo from "Brave New World" from Season Five of Grey's Anatomy. These two always have such great exchanges. George and Izzie smile at each other in a photo from "Brave New World" from Season Five of Grey's Anatomy. These two used to be best friends, then hooked up, then broke up. What next? 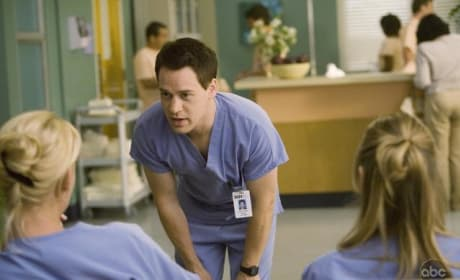 George talks to Meredith and Izzie in a photo from "Brave New World" from Season Five of Grey's Anatomy. He has slept with both of them! Amazing. 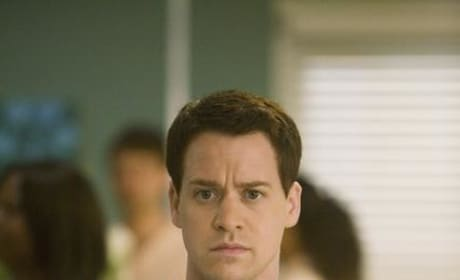 Dr. George O'Malley is back and better than ever in a photo from "Brave New World" from Season Five of Grey's Anatomy. Eh, he's just George, but that's why we love him. 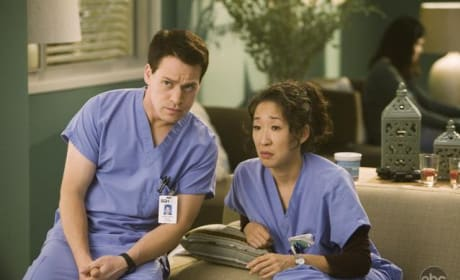 Cristina and George look on in a photo from "Brave New World" from Season Five of Grey's Anatomy.